This year, DVS - German Welding Society will participate in three foreign fairs on the subject of joining technology: SVARKA in St. Petersburg, BEIJING ESSEN WELDING & CUTTING in Peking as well as INDIA ESSEN WELDING & CUTTING in Mumbai. At the request of DVS, these fairs were included in the foreign fair programme of the Federal Republic of Germany (AMP). On favourable terms, German companies will, as exhibitors, be able to take part in the cooperative booths "Made in Germany" which will be promoted by the German Federal Ministry of Economic Affairs and Technology (BMWi). In this respect, the objectives will be to make it easier for German companies to gain access to the foreign markets and to promote business contacts with the partner countries. 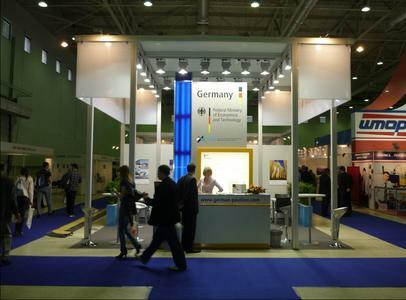 In Germany, the next international trade fair of the joining, cutting and coating sector will be held in 2013. On September 16 - 21, DVS and Messe Essen will invite people to Essen on the occasion of the world's premier fair: SCHWEISSEN UND SCHNEIDEN. 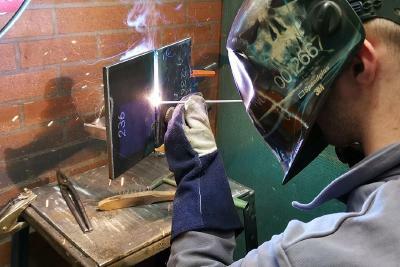 In 2013, the Annual Assembly and International Congress of IIW - International Institute of Welding as well as national and international competitions for young welders will take place there. This year's foreign joining technology fairs will begin with SVARKA which will take place in St. Petersburg on May 15 - 18, 2012. The joint fair appearance of DVS, GSI and DVS Media will address the subjects of innovations in welding technology and, as a special feature, modern methods of welder training. In addition to the international trade exhibition, emphasis will be placed on the exchange of know-how and experience. To this end, DVS will, with its partners (GTS - Thermal Spraying Association and ASM Thermal Spray Society), stage a workshop on the subject of thermal spraying with the title: "Surfacing solutions for modern and future applications". The workshop will be held on May 16. Parallel to this, the society will be involved in the international conference programme at the fair. On the occasion of BEIJING ESSEN WELDING & CUTTING, Peking will open its gates on June 4 - 7, 2012. DVS, GSI and DVS Media will present themselves on their fair booths with a wide range of services on offer. This fair has already been staged regularly since 1987. In the meantime, it alternates between Peking and Shanghai every year. Around 28,000 visitors from over 70 countries streamed into the fair halls last year. Thus, the trade fair was able to report a visitor record which illustrates the strong growth of China. The organisers are expecting a similarly high participation figure in 2012. 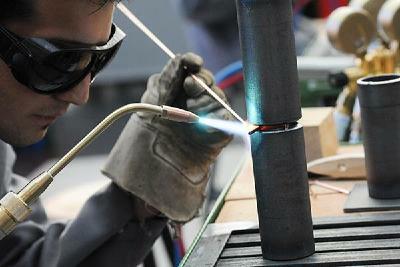 INDIA ESSEN WELDING & CUTTING takes place every two years. In 2012, it will invite people to Mumbai from October 30 to November 1. As from this year, a fair quartet will even await the trade visitors in India: In addition to INDIA ESSEN WELDING & CUTTING, Metallurgy India, Tube India International and Wire & Cable India will take place in the Bombay Exhibition Centre at the same time. DVS will participate in the fair-accompanying congress with a workshop on the subject of thermal spraying and joining technology in vehicle fabrication.